Giannis Antetokounmpo put on a monster game as he banked career-high 52 points along with 16 rebounds and seven assists against the Sixers. 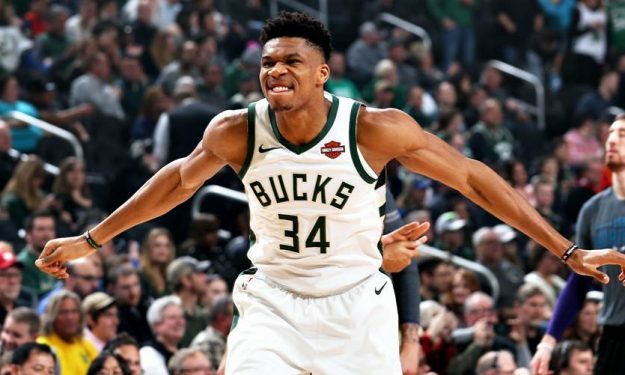 Giannis Anteotokunmpo logged one of the, if not the, best performances of his career but it wasn’t enough for the Milwaukee Bucks against the Philadelphia 76ers led by Joel Embiid. Giannis nailed career-high 52 points while shooting 15-26 from the field. He also added 16 rebounds, seven assists, two steals and a block in 36 minutes of play. He is the 11th player to score 50 in the 2018-19 season and the first Buck to do it since Brandon Jennings in 2009. Also, Giannis and the Portland Trail Blazers‘ CJ McCollum are the only players from the 2013 draft class to have registered a 50-point game so far.